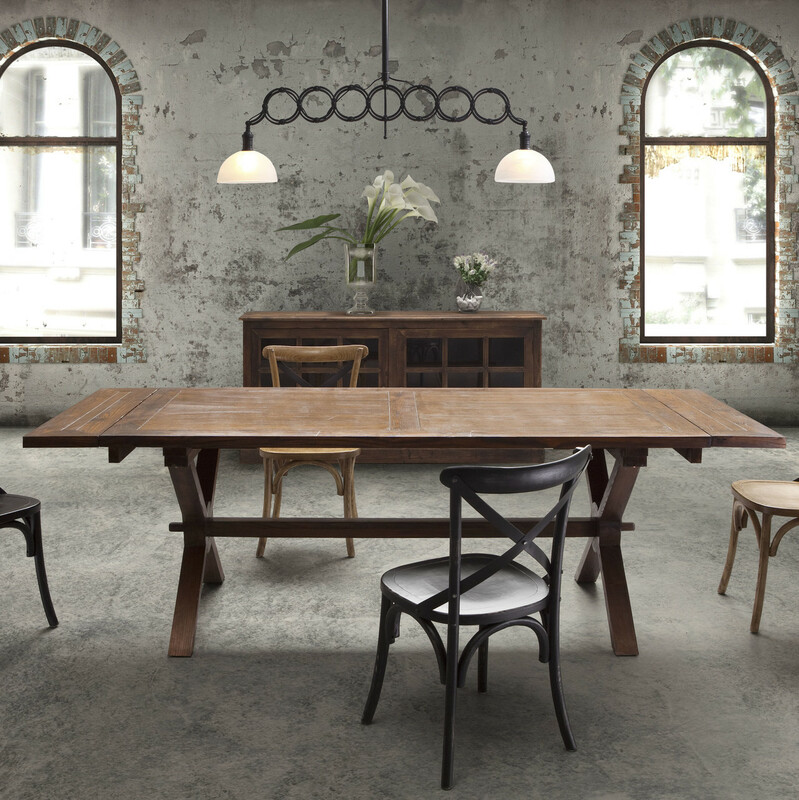 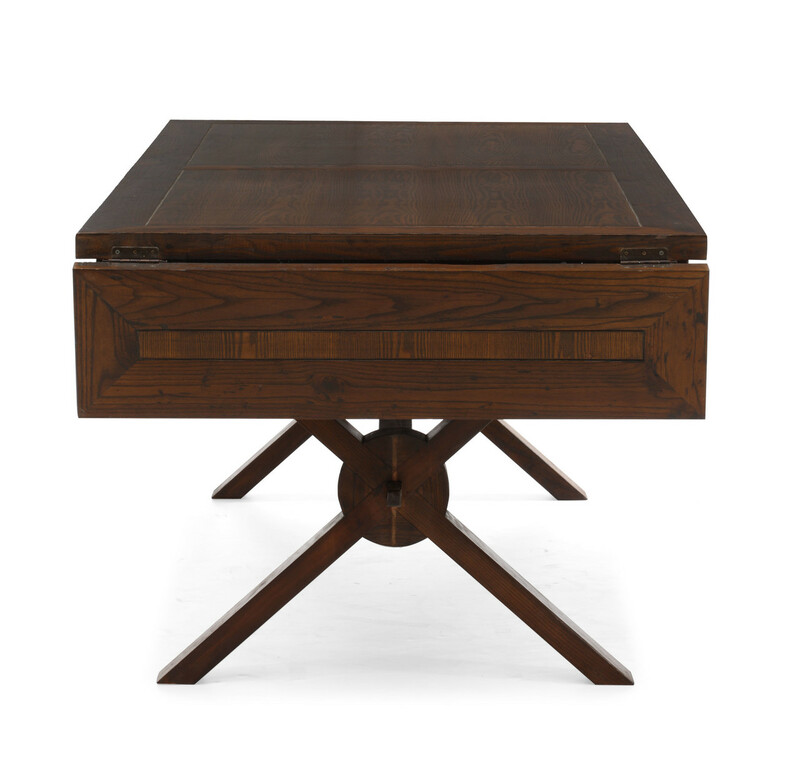 Blending vintage style with modern durability, Laurel Heights Table provides a perfect balance of function and design. 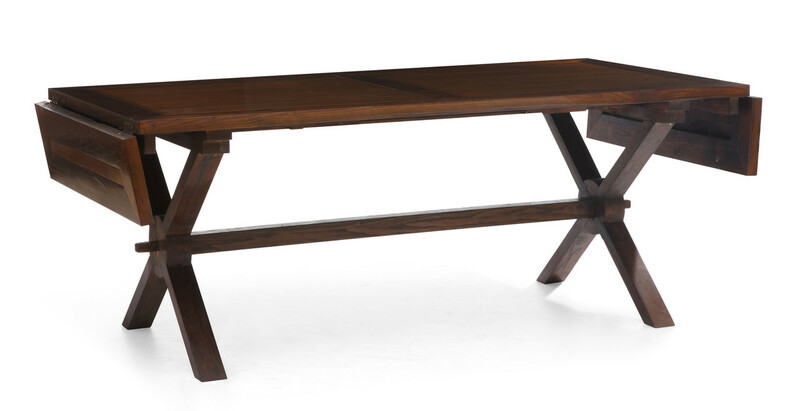 This dining table features solid elm wood construction and a trestle style base. 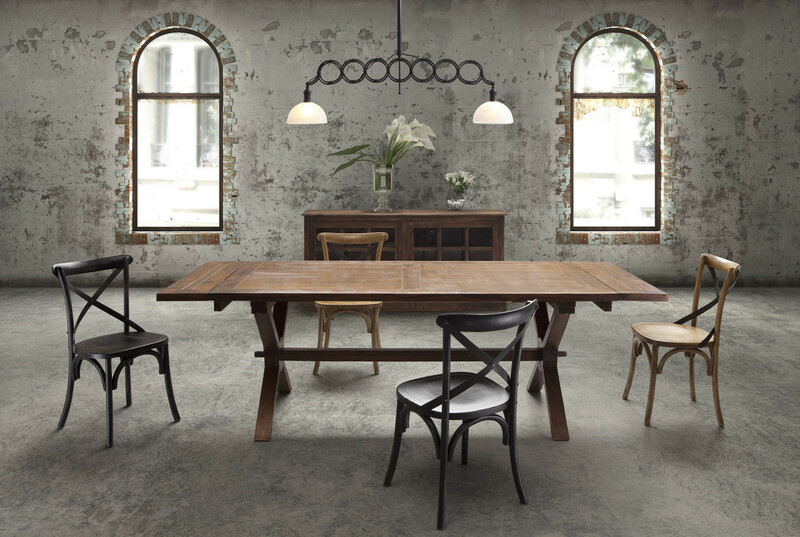 The wood is finished in a distressed natural stain, and classic style trestle base ensures reliable support and stability. 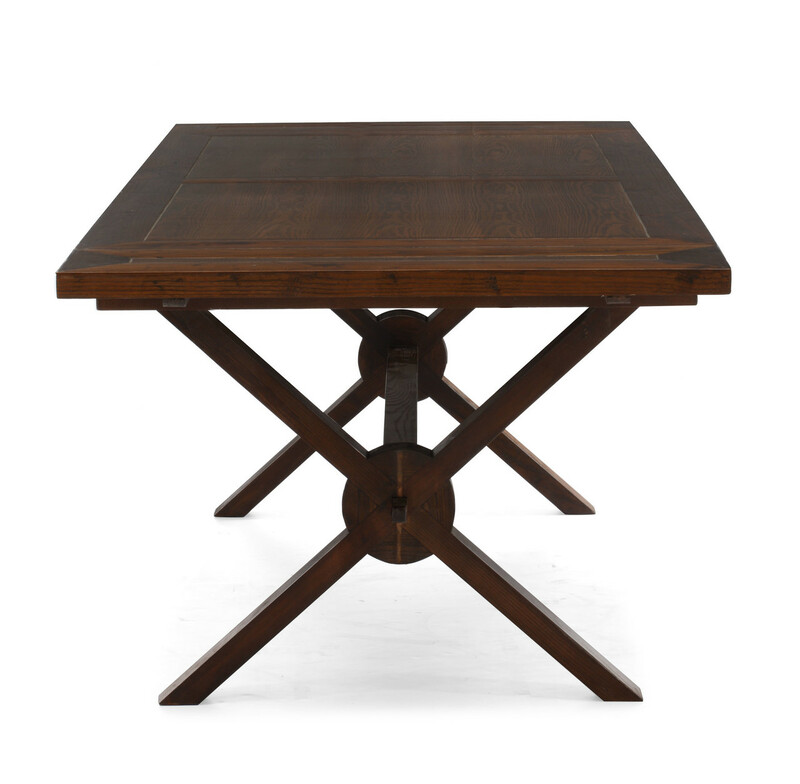 Two 9.8-inch drop leaves expand its width from 78.4 to 98 inches, ensuring that Laurel Heights Table is as versatile as it is stately.